San Francisco 2019 Michelin-Starred Restaurants: Reserve a Table Now! OpenTable is pleased to highlight the honorees in the MICHELIN Guide San Francisco 2019. Fifty-seven restaurants are included, with eight Bay Area restaurants receiving the Michelin three-star level, the highest recognition in the culinary world, including Benu, and six achieving two Michelin stars, such as Acquerello. 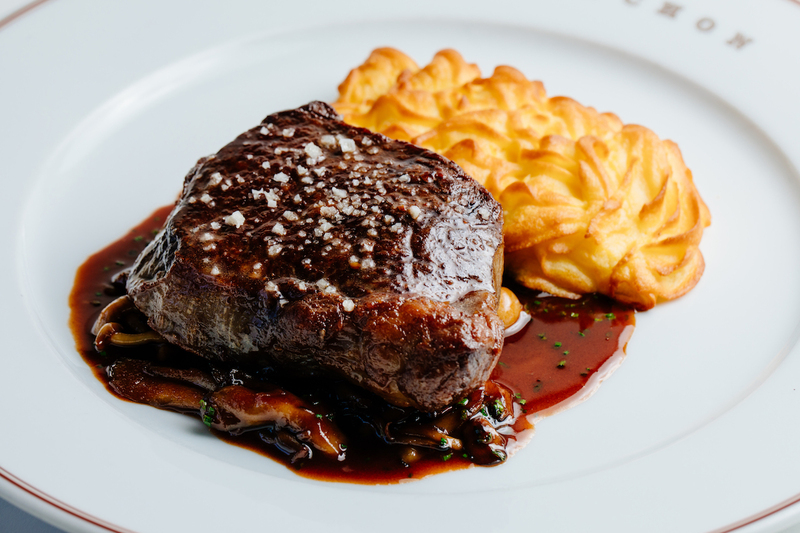 Forty-three restaurants earned one Michelin star, including Bouchon (steak Bouchon, pictured above). Birdsong and Nico, among others, are new to the list. Being included in the respected MICHELIN Guide is a sign of excellence and quality. We recently highlighted the honorees in Chicago, New York, and Washington, D.C.
Three Stars: Benu and Quince. Two Stars: Acquerello and Coi. One Star: Al’s Place, Aster, Auberge du Soleil, Birdsong, Bouchon, Campton Place, Chez TJ, Commonwealth, Gary Danko, Hashiri, In Situ, Keiko à Nob Hill, Kenzo Napa, Kinjo, La Toque, Luce, Madera-Rosewood Hotel Sand Hill, Madrona Manor, Michael Mina, Mourad, Nico, Octavia, Omakase, The Plumed Horse, The Progress, Rich Table, Sons & Daughters, SPQR, Spruce, State Bird Provisions, The Village Pub, and WAKO. How many of the 2019 Michelin-starred San Francisco restaurants have you dined at? Tell us here or on Facebook, Instagram, Pinterest, or Twitter. And, remember to snap + share your #dishpics with us on Instagram for a chance to win in our weekly giveaway. OpenTable is not connected or affiliated with, or sponsored or endorsed by, The MICHELIN Guide. Photo credit: David Escalante (Bouch0n).